How many times has a friend or family member gone on an exciting adventure for a vacation and comes back with literally a billion pictures for you to look at with them? Chances are it has happened to you many times in your life. No matter how exciting the trip was for them or how much that person means to you, there is no denying that small part of you that starts peering from the corner of your eye for the nearest emergency exit when picture two hundred drops in front of you. Now imagine that scenario, but instead of going through those billion pictures, you have an amazing illustrated comic to guide you into their experience like you never imagined possible before. 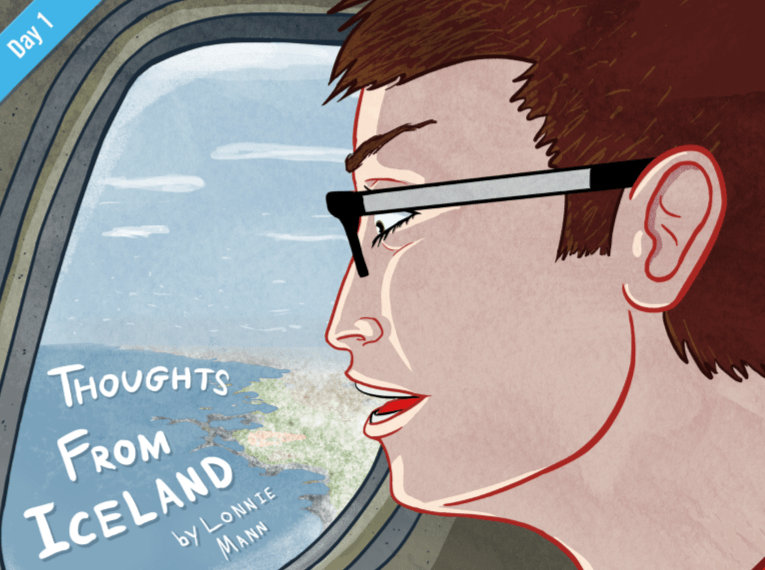 In 2012, Lonnie Mann took a three and a half day trip to Iceland. 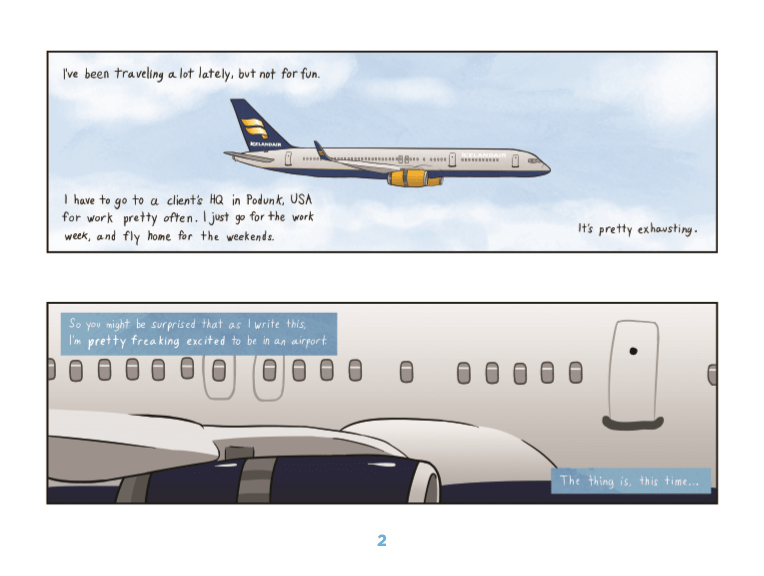 Deciding to try something unique, he turned his trip into Thoughts From Iceland, an autobiographical travelogue comic that chronicled his time spent there, from boarding the aircraft all the way to arriving back home. We are given a special front row seat as we watch him explore Iceland through the sites, people, food, and culture. His journey is separated into three parts, one for the first day, one for the second day, while the third and fourth are combined into the last issue. 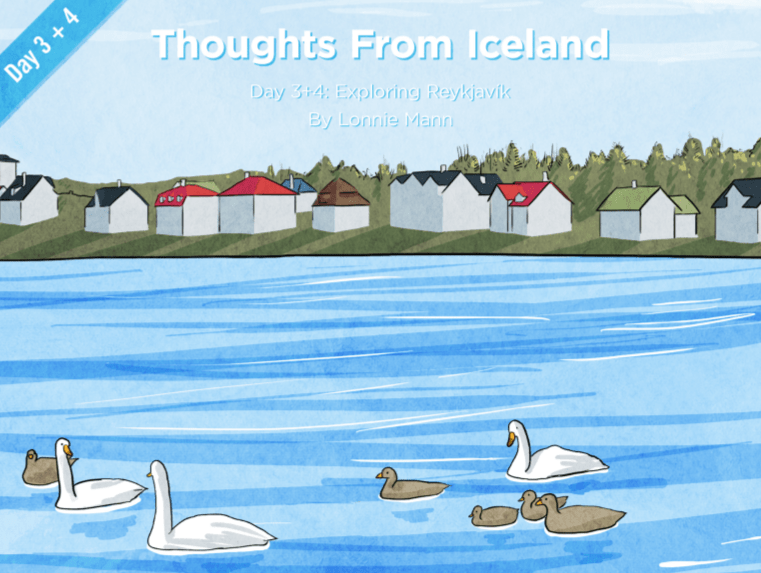 Honestly, before going into this three-part series, I had never once thought about taking a trip to Iceland. 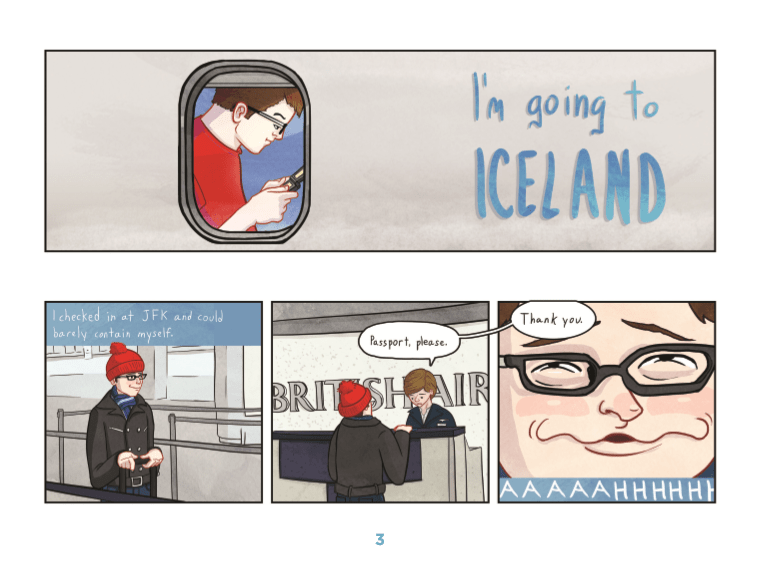 After reading through all three issues though, I feel like I need to visit Iceland myself now. He captures every little small detail of the trip and brings it to life in a way that no simple photograph could reproduce on its own. His writing style is informative and humorous while his art gushes charm down to the final page. Both combined really make you feel like you’re right there with him in this beautiful land. I would imagine every country would love to have such alluring and entertaining travel piece as has been put together here. Lonnie tells us at the end that he has begun to learn Icelandic and is ready to return once more for a longer trip, and with everything he shows us, I completely understand why. At the end of each issue, to pages are dedicated to showcasing some of the pictures taken during the trip. He has chosen a good selection of photos pertaining to things he has mentioned in the issue and many times actually illustrated. There is also a map showing the locations of the spots he had visited during his time. They serve as a final little frame of reference to look back on, the last finishing touch. All three issues are currently available digitally through Comixology or physical copies are available through Etsy, both of which you can find in the links above. 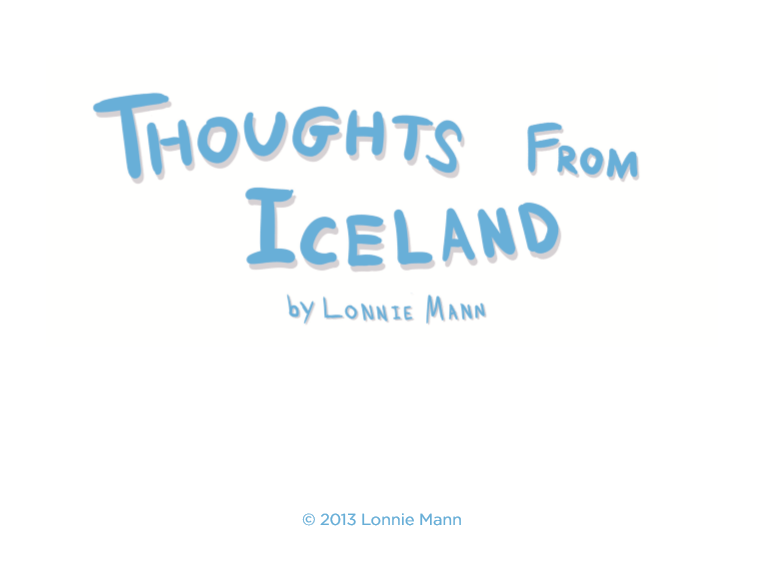 You can also follow Lonnie Mann through his website to see his latest work. 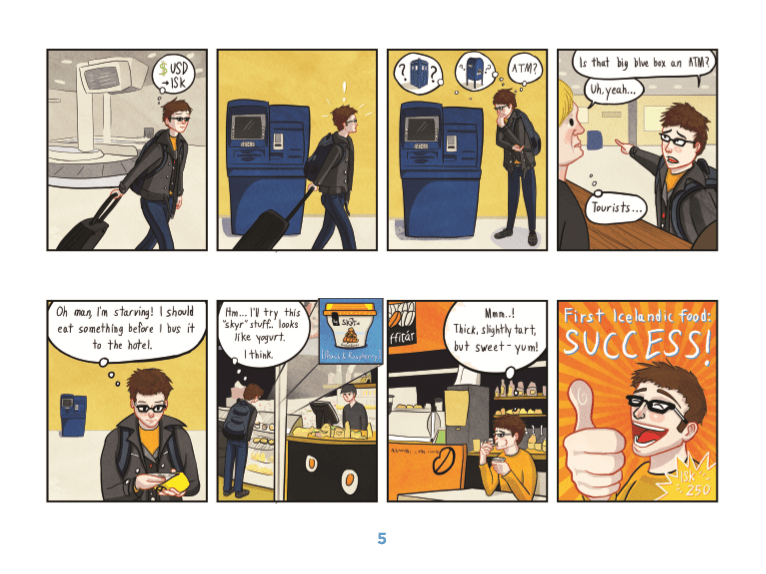 Below we have included the first five pages of the first issue for you to preview. In the end I have just two things to relay before you join Lonnie on this journey too. First, you most likely will be finding yourself drawn towards taking an expensive trip to Iceland, so make sure you have some extra room on your credit card. 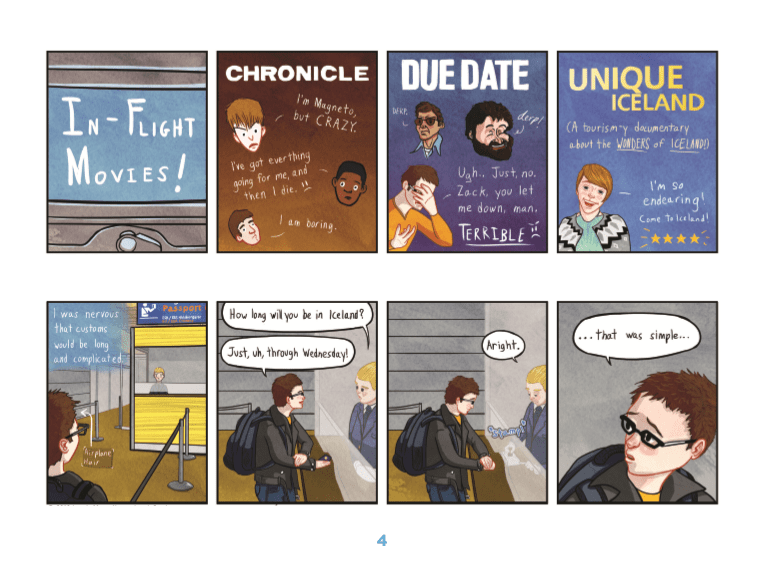 Second, be prepared to expect and demand a comic detailing any fantastic vacation that someone you know takes forevermore. 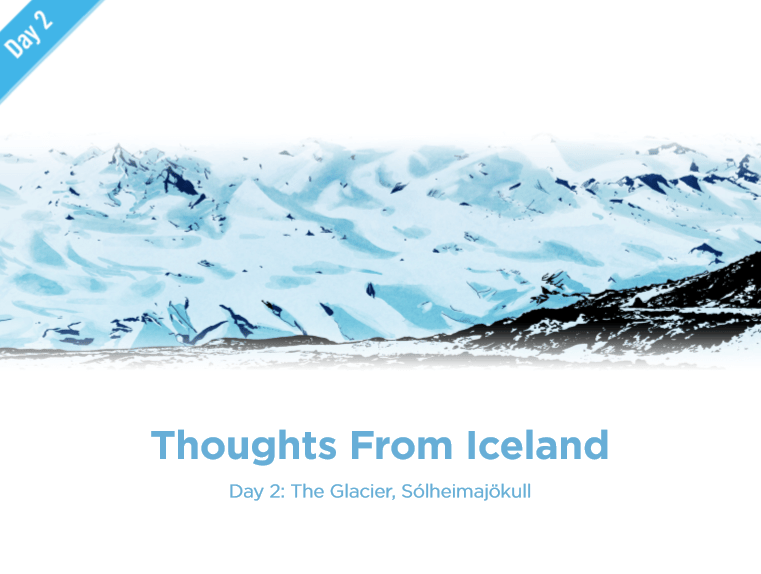 With that said, make sure to check out Thoughts From Iceland for an experience you won’t soon forget.